When we take so much care to nurture our fruit trees, it’s natural to want to protect the fruit from wildlife, particularly birds and bats. 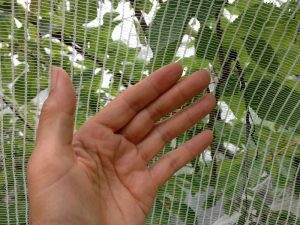 Tree netting is an obvious and effective way to protect fruit from wildlife, but the wrong type of netting can be deadly. 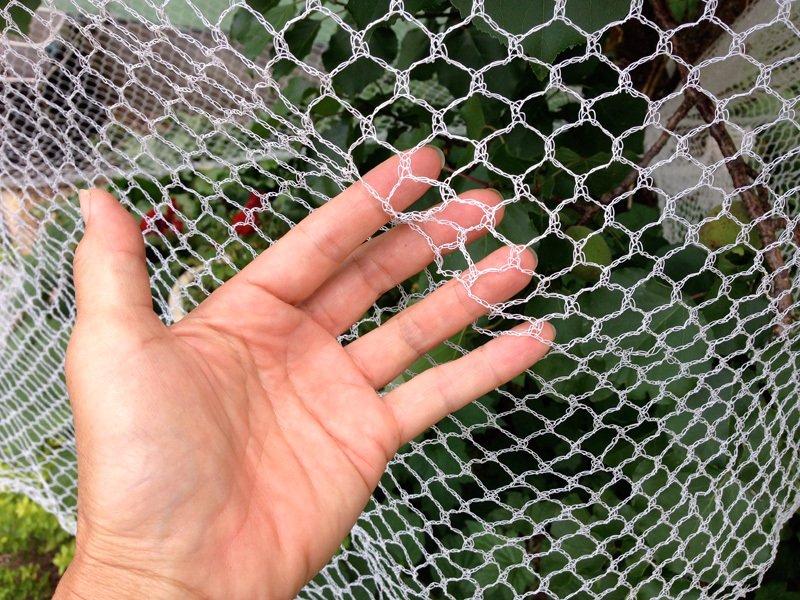 Bird netting with a mesh size greater than 1cm square is responsible for many wildlife deaths. 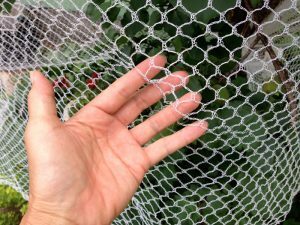 Birds, bats, lizards, snakes and the occasional possum become tangled in large mesh netting and cannot free themselves. While struggling to escape, the net cuts ever deeper into the animal. 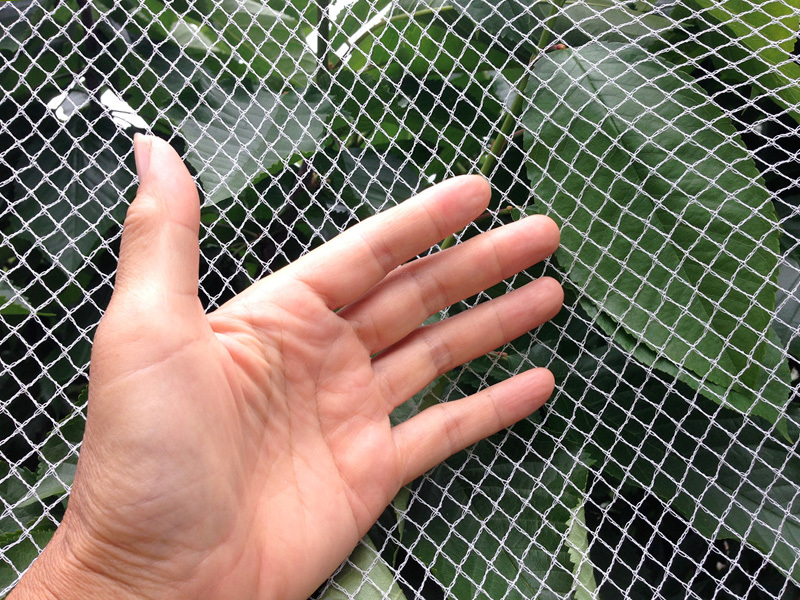 Wildlife friendly netting should have a mesh size of less than 5 mm. 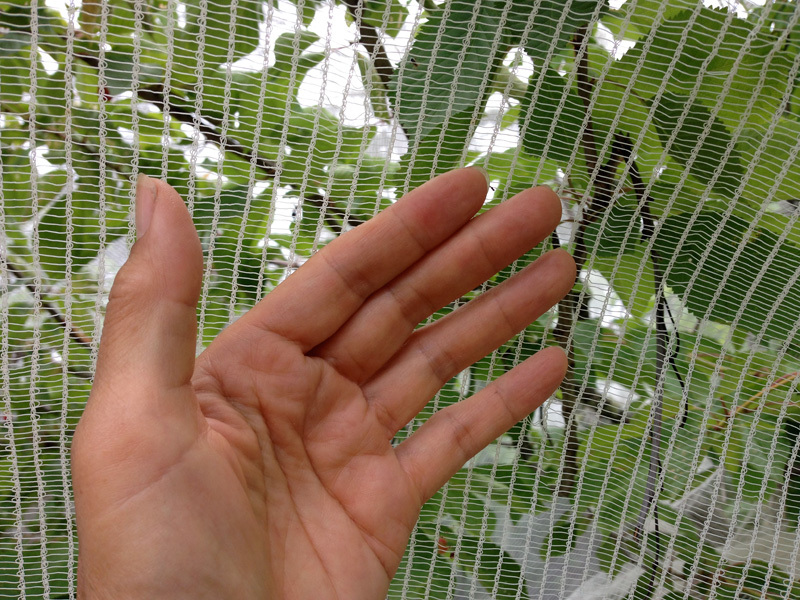 The ‘finger test’ will help you to choose netting that you cannot poke your finger through. Both of these Diamond econets pass the finger test. I bought these in Bunnings. Diamond Econetting Crop Protection. The first net comes in a 4x4m square for about A$29.97. It has the advantage of being hail-proof, and it’s what the commercial apple orchard up the road from us use to protect their apples from the flocks of birds that come every Autumn. Diamond Econetting Anti Bird Net. The second net comes in a 4x4m square for about A$15.90, and 4x10m rectangle for about $29.90. It’s cheaper than the crop protection netting, but still wildlife friendly.